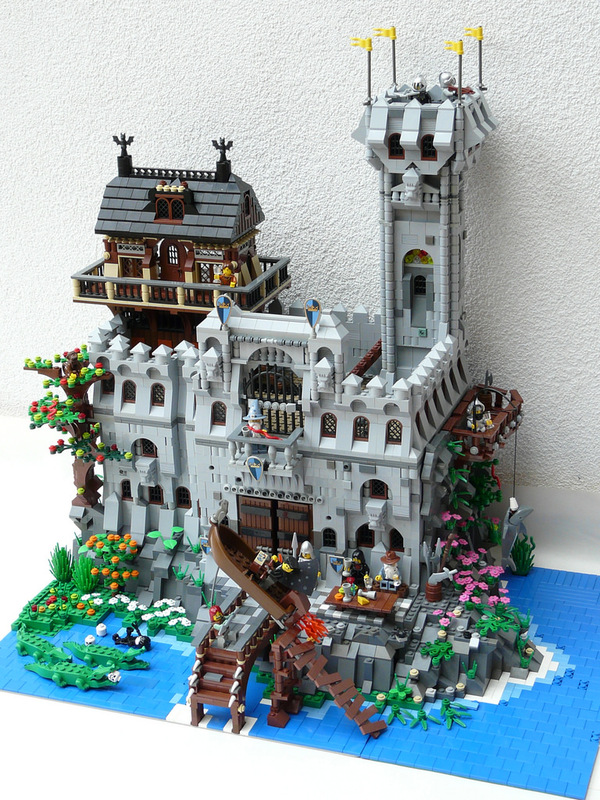 For his “First serious Castle moc ever,” this substantial diorama by monsterphonic is pretty darn awesome. The crenellations on the top of the walls are interesting, and the half-timber structure adds excellent variety. The water and landscaping are nice, but it’s the action taking place above the dock that makes this scene brilliant. I love this. The action makes this a feast for the eyes.